Gordon has held senior roles across a diverse range of sectors and has expertise in government relations, policy and communications. 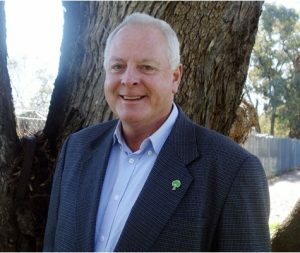 He has been the President of Greening Australia since 2014. Gordon’s experience includes 10 years with the Tasmanian Forestry Commission in field and management roles, and a position as policy advisor for John Hewson, the then leader of the opposition. Gordon holds an honours degree in Forest Science from the University of Melbourne, a masters degree from the University of Tasmania and an MBA. In addition to serving on the Greening Australia Board, Gordon is a non-executive director of NuFarm Limited, Primary Healthcare Limited and Midway Limited, and has served on the Advisory Board of The Nature Conservancy since 2013.